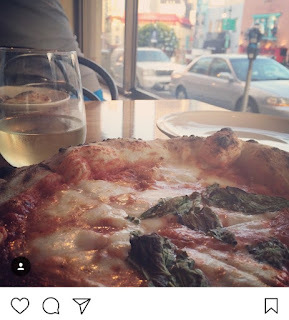 After my brief stint as a pizza blogger, I spent a lot of time eating pizza and taking pictures of pizza. 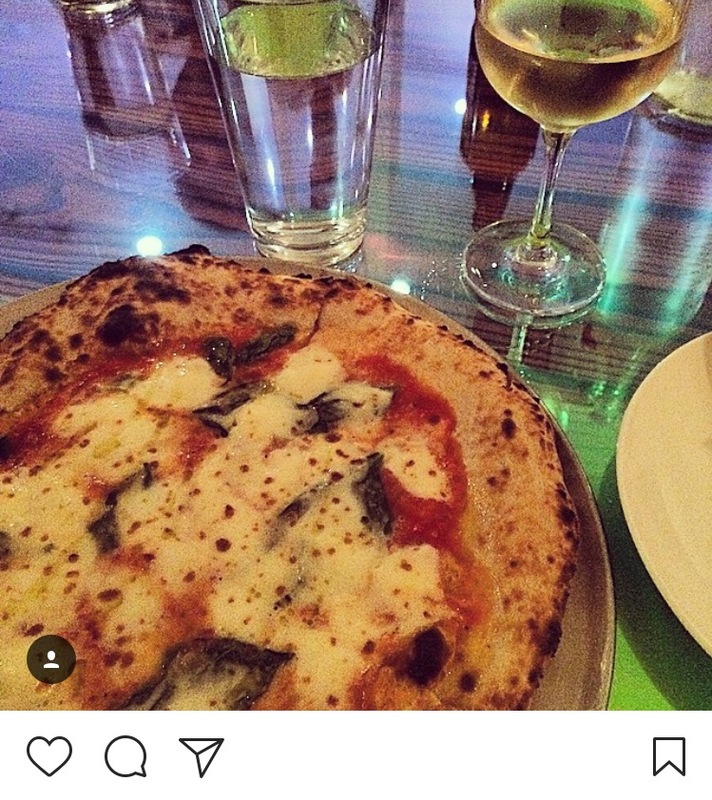 After a cursory review of my Instagram, I've posted approximately 12 different photos of pizza. 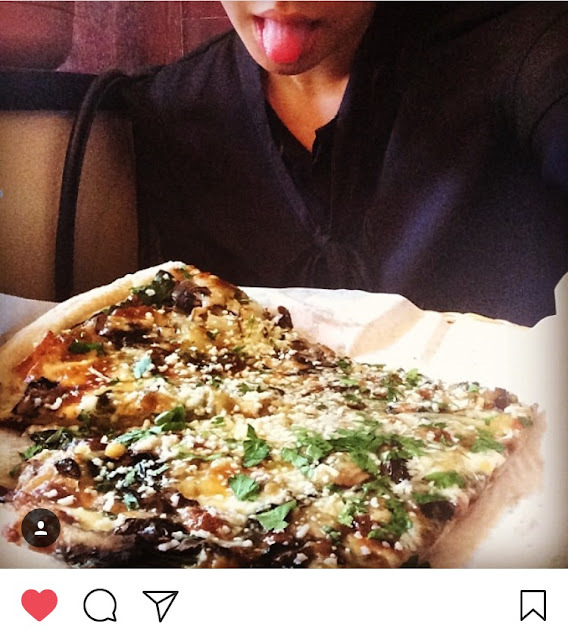 This is a small percentage of both my 392 Instagram posts and an even smaller percentage of the pizza I've consumed since joining Instagram in 2010. 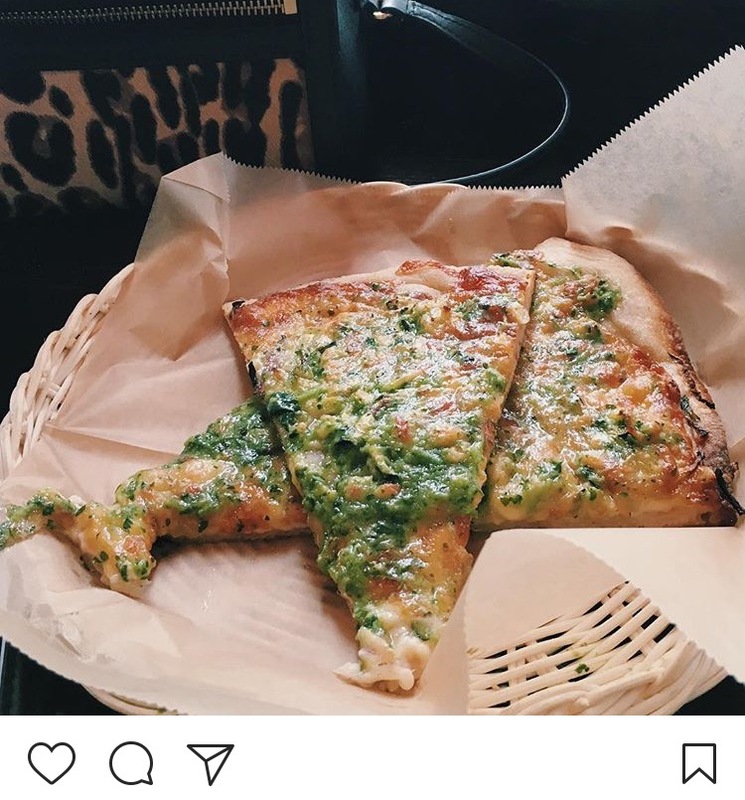 Because, honestly, how many different-and-cool ways are there to take a photo of pizza? Currently I've come up with 8, which is why my pizza content is limited to 12 photos thus far. Below are 8 different ways to keep your pizza content hot and fresh. The most common yet difficult-to-make-interesting shot. 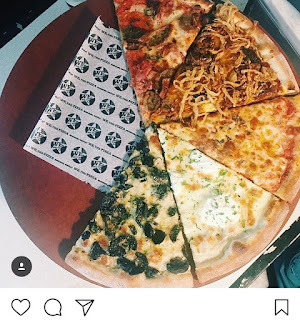 Works best when you have an interesting layout of pizza like the one at We, the Pizza (above-left), or if you and your partner happen to get the same exact pizza and the tables happen to be marble, like the 800 degrees shot to the above-right. Best used when you have interesting toppings on your pizza or the details matter. 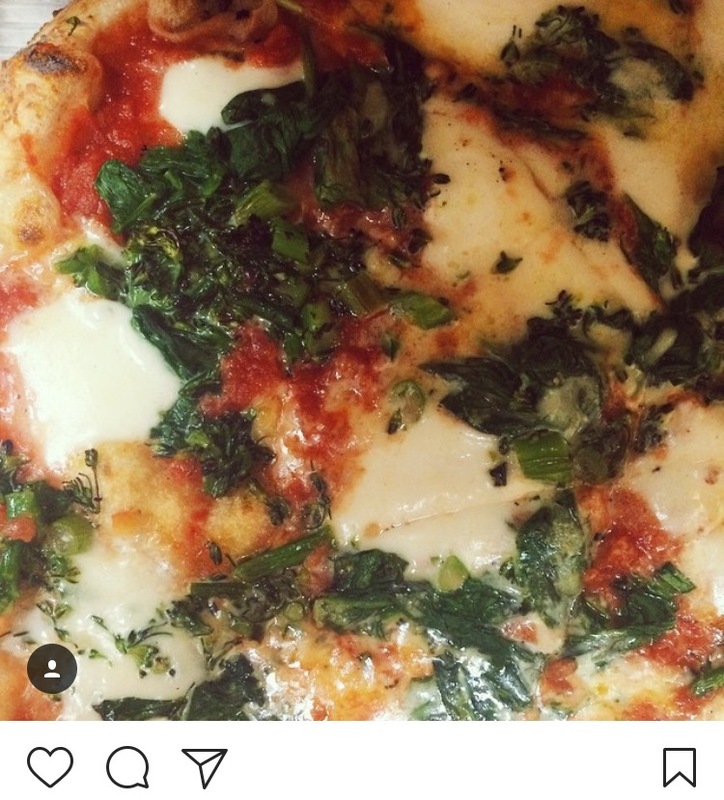 I posted this to get 800 degrees' attention on a #pizzaoftheday contest so I zoomed in on the chopped broccolini, a topping they unfortunately no longer have. This pose clearly won't work with Neapolitan pizzas, but will with slice places. Especially Sliver, which is known for including a small "sliver" with its by-the-slice slices. 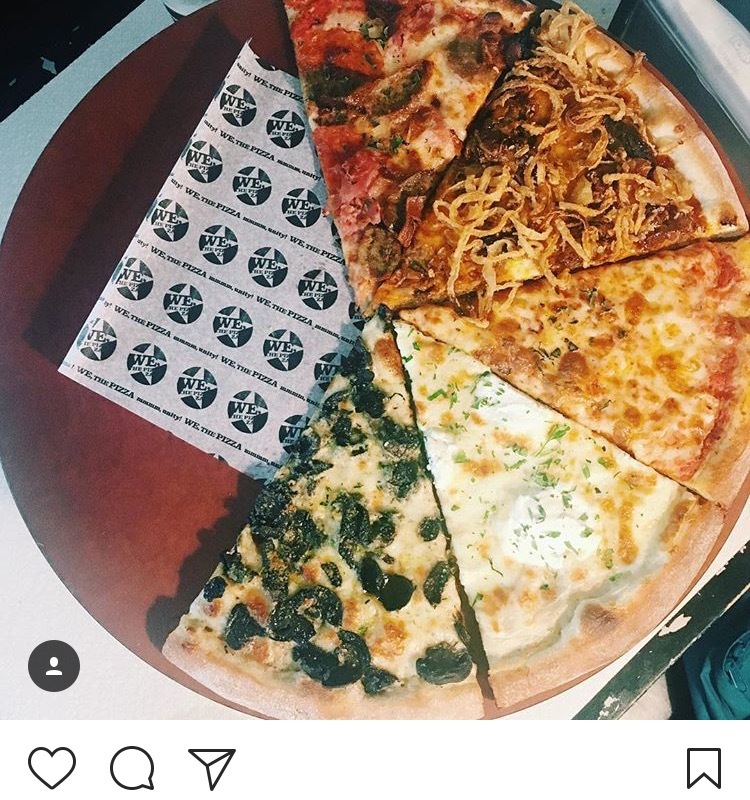 This "sliver" slice made it on my Instagram because its unclear which slice is the sliver. Funny, right? 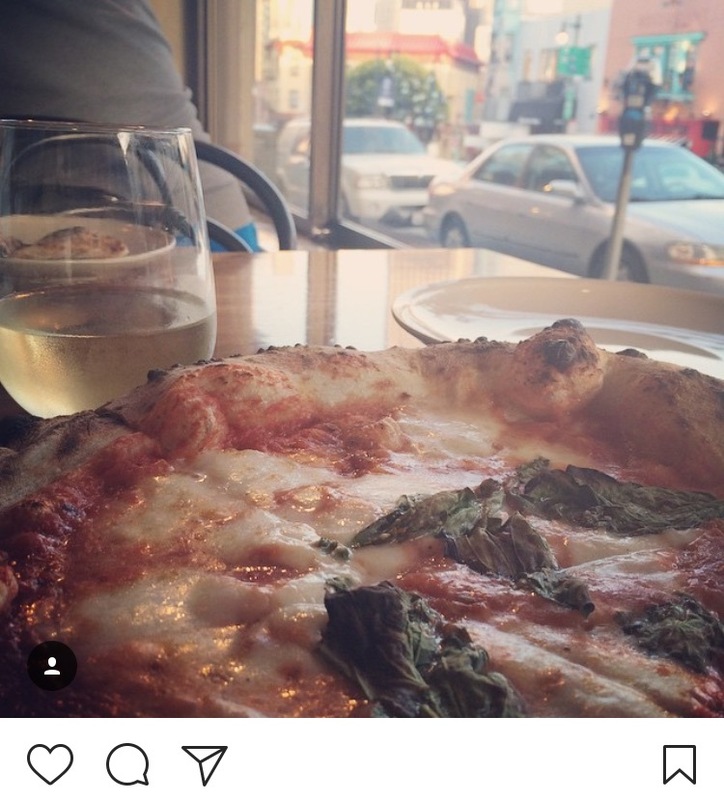 The above two posts were made mostly because they are from two of my top 5 pizza places, Il Casaro in SF and Wood Handcrafted Pizza in Silver Lake. 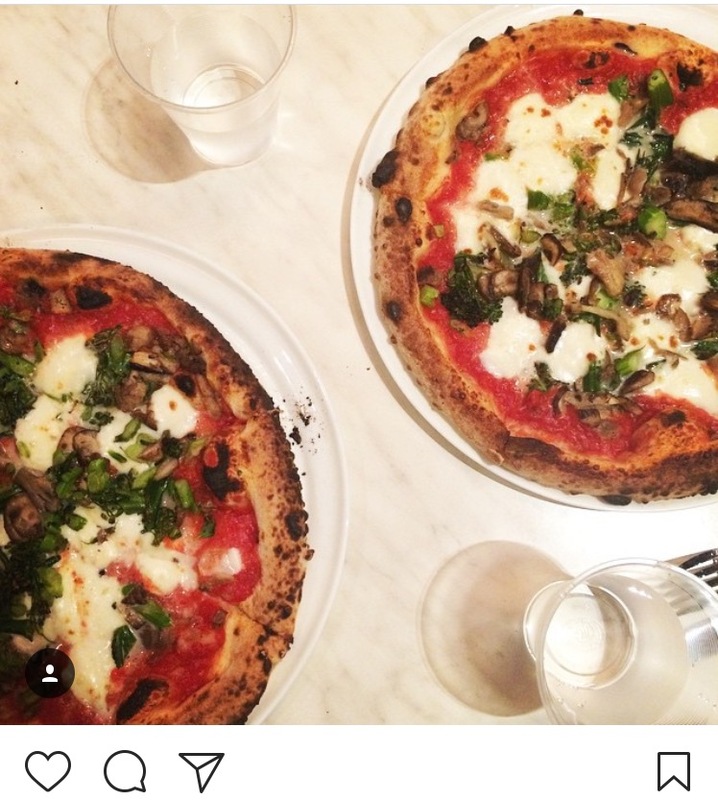 The pizzas are so good I didn't have time to think about how to make the posts interesting, I just wanted to share my experience and prove to Instagram that I'm living my best life. Now we are in the territory of pictures of yourself with the pizza. If you look closely, I'm actually holding two slices. LAYERS, PEOPLE. This pose is also related to number 7 below. Let it also be known, that this is outside of the famed Joe's Pizza. The sign outside may have been visible in the photo, but that's not what's important here. 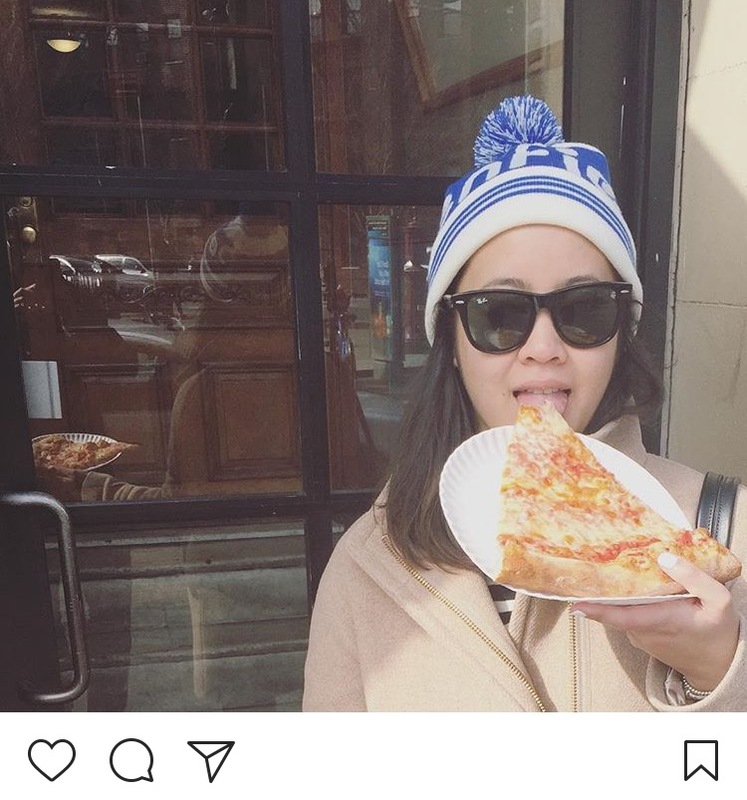 What's important is that I already took a bite of that pizza and still asked Andrew to take a pic of me holding it up to my face. I almost got 100 likes on this photo, and it definitely has the most likes out of all of my pizza Instagrams by far. I am convinced its because my arm looks abnormally skinny. Although now that the photo is enlarged on here it doesn't seem that skinny. Competing theories include that I'm holding both wine and pizza in my hands. 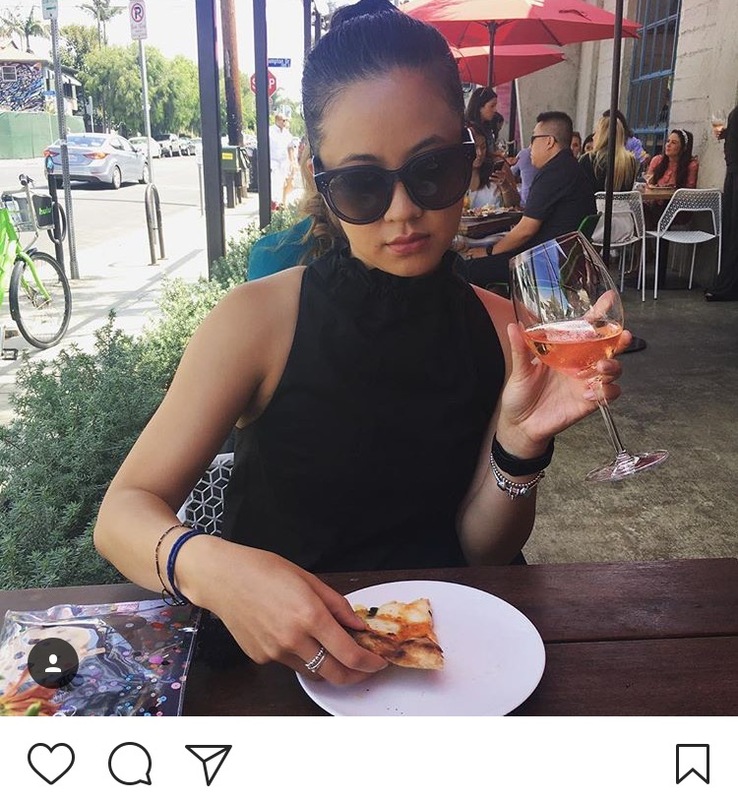 When you really think about this photo, I cant be drinking and eating at the same time, so it really just conveys gluttony and my inability to do one thing at a time (or let go of the wine glass). Still, 97 likes. This photo works best when you happen to be out eating pizza by yourself and you don't have anyone else to take a fire pic of you. It's silly yet shows how much I love this pizza (at Sliver, again). I captioned it "Can I just spend my life with you." I also liked it myself, likely on one of those scrolls through my own feed to admire my choices in posts. On our trip to NYC we planned to go to Best Pizza (owned by host of The Pizza Show, Francesco Pinello) and I had planned this photo op in my head already. All it came down to was making sure Andrew could capture the essence of what I wanted (a candid photo of me eating pizza that didn't look disgusting). 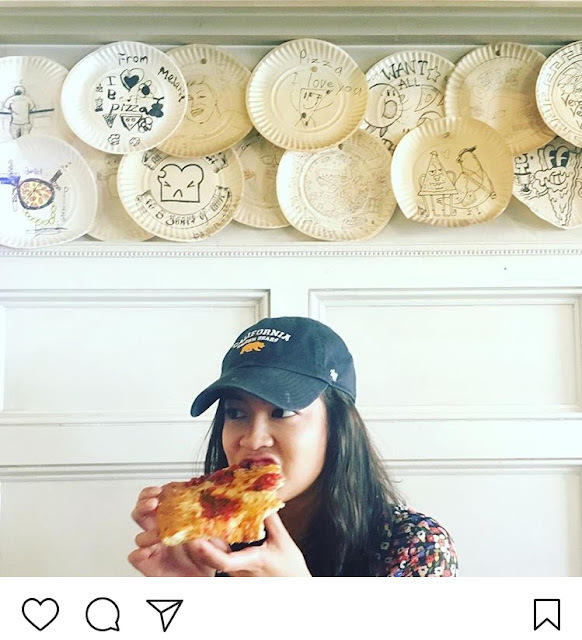 I specifically asked him to include the paper plates in the background, because they add another pizza layer that likely increased the amount of likes the photo got. I'm finally visiting Pizzana tomorrow night, and have been thinking about what kind of Instagram post I could get out of it. The popularity of the place seems largely due to social media, so we'll see what I can come up with. Maybe I'll be able to add a 9th type of shot! Please let me know if you have any questions and/or comments, thanks!